Bachelor of science from US Naval Academy, 1962; master of science in administration from George Washington University, 1970; Rear Admiral USNR; test pilot; was assigned for STS-33; hobbies: Flying, auto restoration, running, skiing; he died in a crash of a World-War-II-era training plane. He was the PLT of the original STS-51F Spacelab-2 crew (this was the period of Griggs still being in STS-41F crew. 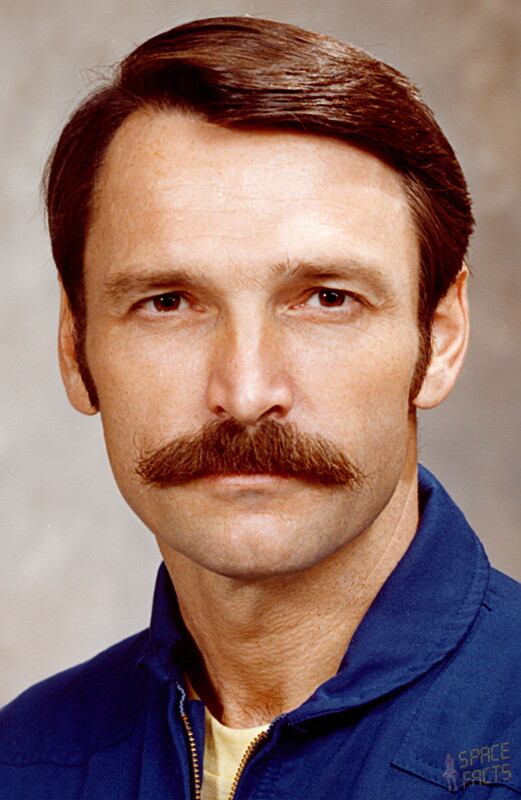 However, STS-41F was cancelled and Karol Bobko's crew was given STS-51E mission instead which was, too, cancelled, with the crew finally flying on STS-51D). Sometime during STS-51E and STS-51D (beginning of January 1985) the managers realized that the proximity of two missions will not let Griggs to be adequately trained for STS-51F, so he replaced him with Roy Bridges (in fact, Griggs was then assigned to PLT of STS-51K, then STS-61K - the EOM mission).